The very first thought of Kolkata reminds us of those yellow cabs, hand pulled rickshaws, Howrah bridge and not to forget the hustle bustle on the streets, while on the other hand a die hard food lover swears by kobiraji cultets, puchkas, tangra and more. Your trip to Kolkata is incomplete if you have not explored the city’s hidden food gem and being a die hard bhukkhad during my recent visit to the City Of Joy, Territi (or Terity) Bazar was on top of my list. 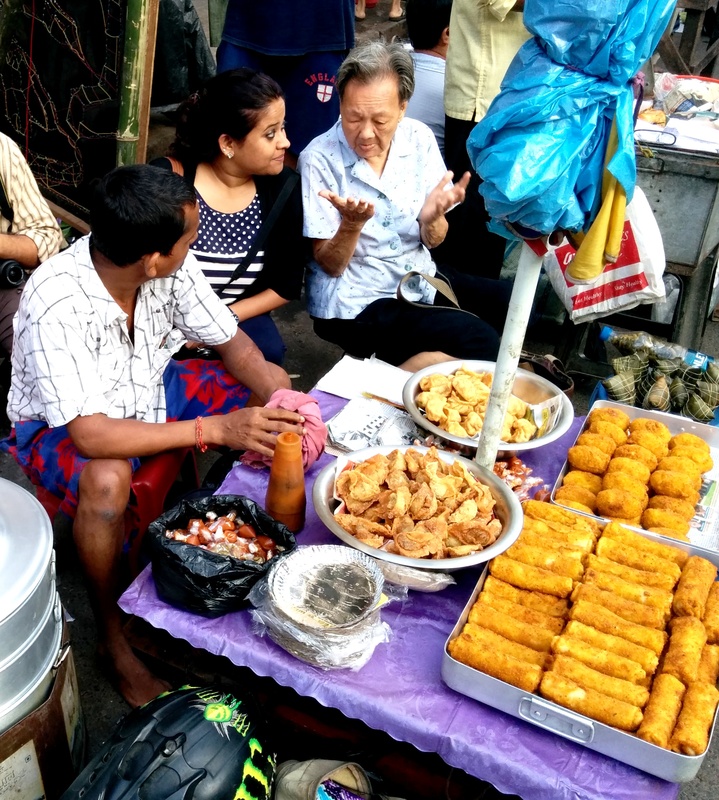 Kolkata’s own little “China Town”, where the Chinese had settled as early as the 1780’s, and from then onwards they have played a significant role in defining Kolkata’s food scene. 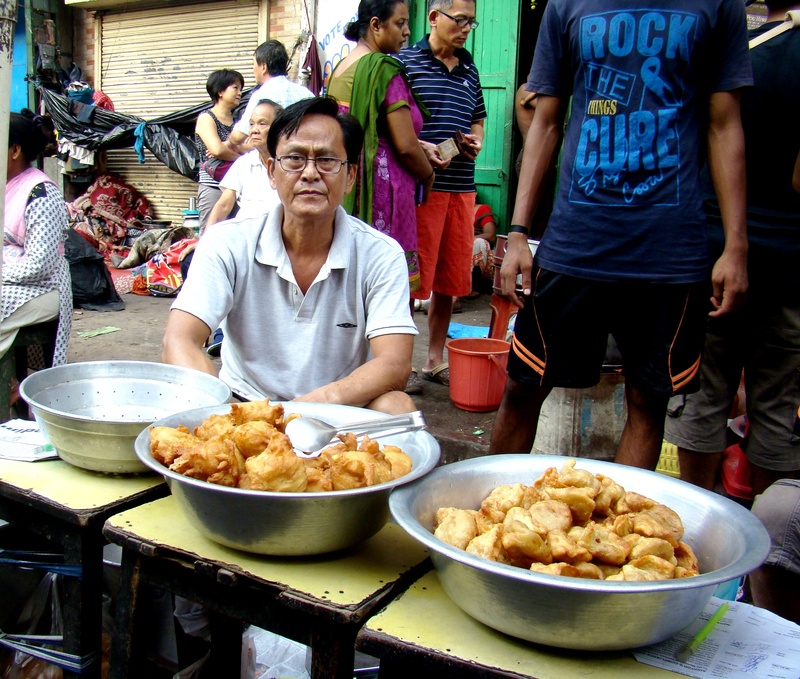 The morning silence at Territi Bazar breaks around five and it comes to live from six to nine in the morning and yes this place can simply satiate your carving for those hot , juicy Chicken Momos, Pork Momos, Shu Mei, Sausages, Prawn wafers and the list goes endless. I decided to explore this place with my friends and cousins and the Sun Yat Sen Road (named after one of the greatest leaders of modern China), near Poddar Court, is more like a local farmer’s market of sorts with fresh catch, vegetables on either side of this small narrow street. As you walk down the street you get to see momo containers on both sides, Sausages hung from ropes and you know it’s “the” place for the typical Chinatown Calcutta breakfast. The hot Soup noodles, steamed baozi buns, dumplings in both steamed and deep fried forms everything is served out of make shift stall make for just the perfect options one can get. We decided to get a taste of everything and dug into little bit of everything that was there. 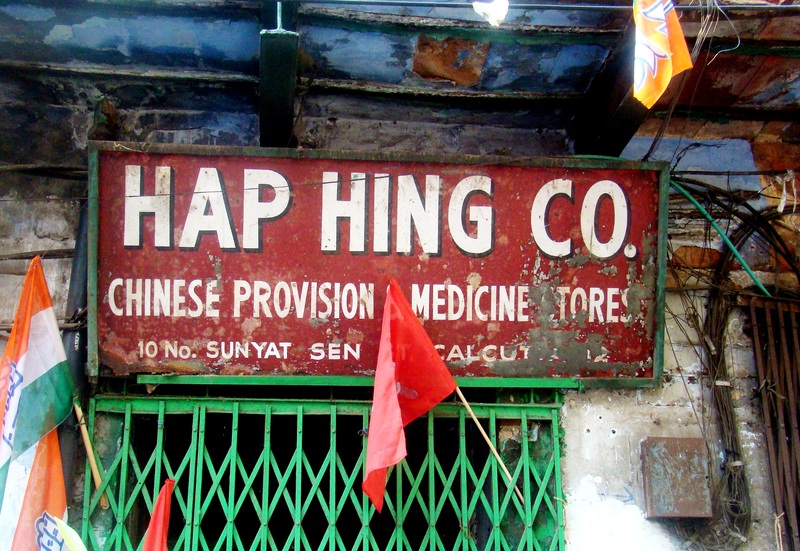 Not to forget that visit to this market is incomplete without hopping into Hap Hing Co, a Chinese provisional opened in 1934 now run by Stela Chen ( she emphasises it’s Chen the Hakka way not Chan the Cantonese way) store sells an assortment of products that include authentic Chinese style homemade sauce, noodles, tea, medicines as well as other products of day-to-day necessity. 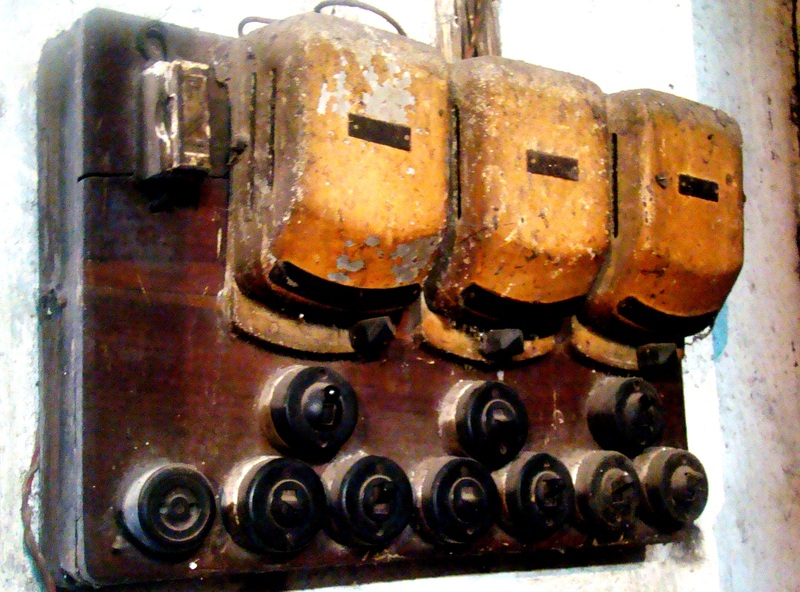 The inside of the store is dark and almost on tatters with a single tungsten bulb hanging, with those old huge switch boards and yes to my utter surprise Stela still calculates on an abacus, an art that she picked up from her dad. 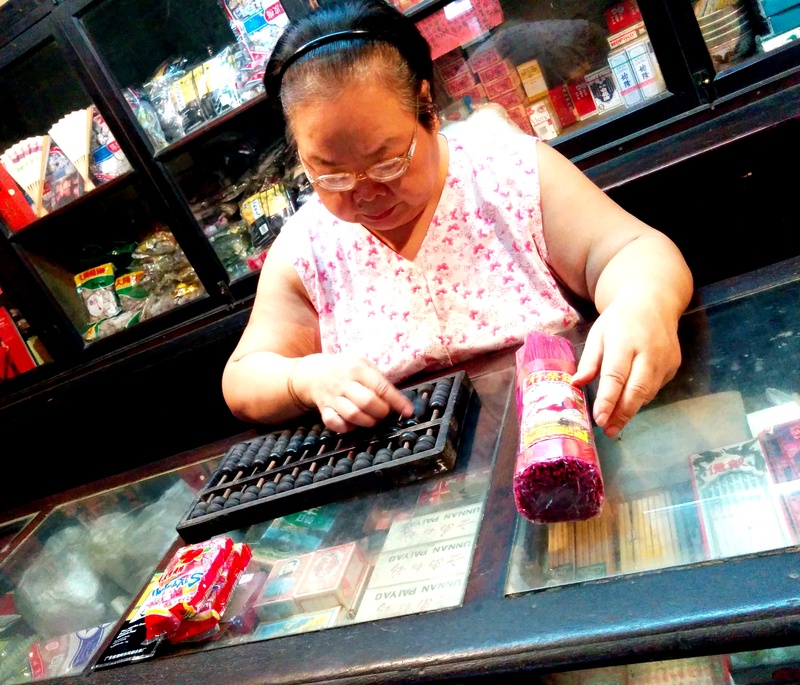 The cute, chubby lady is a store house of info who feels proud in saying that she has an umbilical attachment to this city and happily shared her experience being a part of the city for almost around 60 years. This place simply smells good food and do remember to pack some chicken and pork sausages. 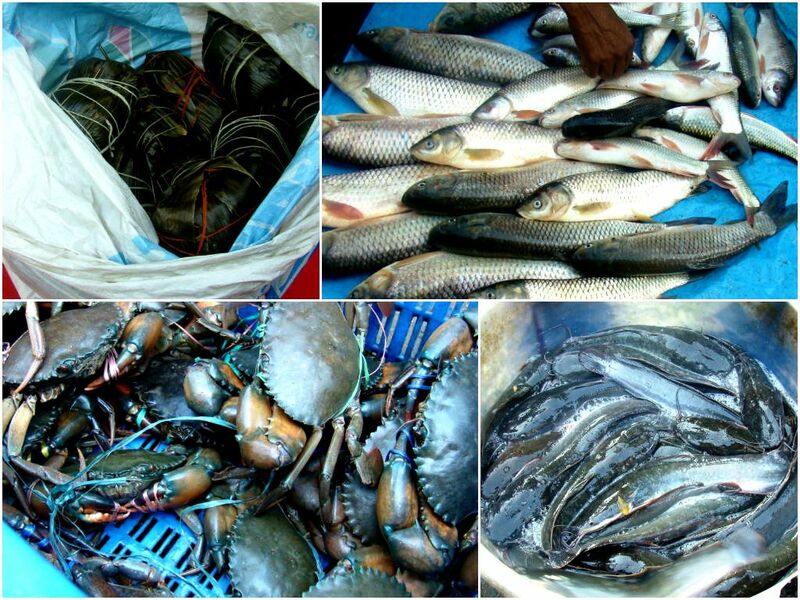 Location: Tiretti bazar is in the Chhatawala Gully just beside Poddar court near Lal Bazaar police headquarters. This blog & images reminded me of my college days. I have spent more than 3 years in Salt Lake, Kolkata and keen to explore the city. In my 2nd year of college days, I had visited this place and all the memories have been revived. Thanks for sharing it with us. Cheers ! What a lovely piece! Truly a local can highlight the humbleness & beauty of simple places like these. And as always, you support it by amazing pics. Ayandrali jee, A Wonderful Write up… took me to Terreti bazar Virtually. Now.. When I visit it early next year.. Im sure not going to feel that I’m visiting it for the first time. 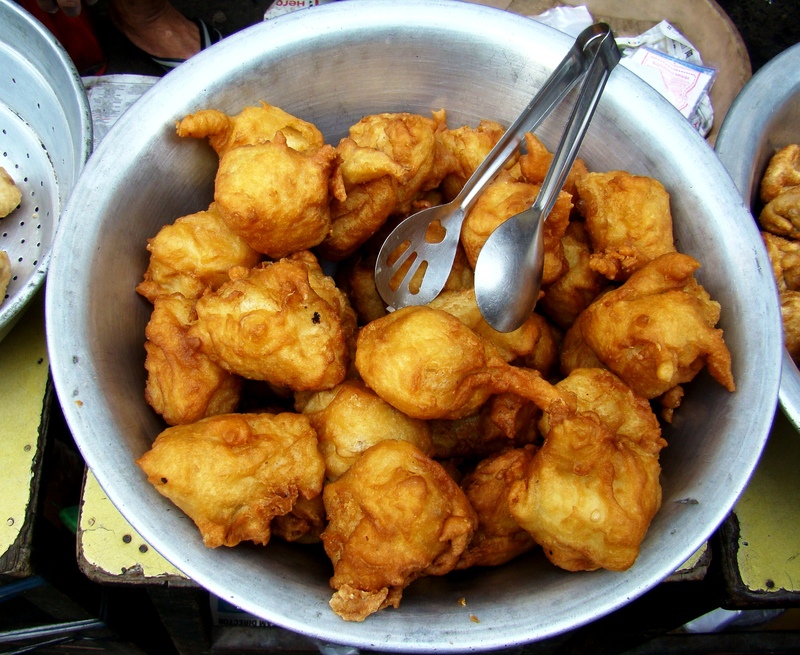 As soona s I opened the Blog.. What Struck me was the Friend Dumplings which also looked like Chicken DrumSticks. They look so so tempting and I’m sure.. they would be awesome to eat too. I have to be there, Not only to eat the awesome Food Dishes you mentioned and Showed but also to soak in the Awesome Character of this Place. Thanks for adding to the already Long list. Shall Add this too. i just checked and it’s a beautiful building and also Was Amazed to learn that this CHURCH per se Controls Real Estate Assets worth Thousands of crores and also FIVE MILLION SHARES IN HSBC. Kolkata, my sohor always gave me my first experiences… feeling of love, heartbreaks, sleepless nights realization of failure and overall the love for food…. thanks to Dominique Lapierre for naming it as the ‘City of Joy’-so many plethora of emotions co-exist yet happiness seems to overshadow all other emotions… Thanks ayandrali for such a beautiful write up and vivid imageries.. next time Terreti Bazar surely will be a part of my itinerary. Awesome blog post Ayandrali… interesting name. So glad to land on this blog post. Wish to stay more and look around. Thanks for sharing this wonderful experience. Would love to go visit it once. Thanks Srijit that u liked it.. and yes it kinda gives you an idea how much its gonna pinch yur pocket.. And rest be assured, u would get loads of photo opp..
Hey Buddy!, I found this information for you: "Terreti Bazar: Kolkata’s Little Chinatown". 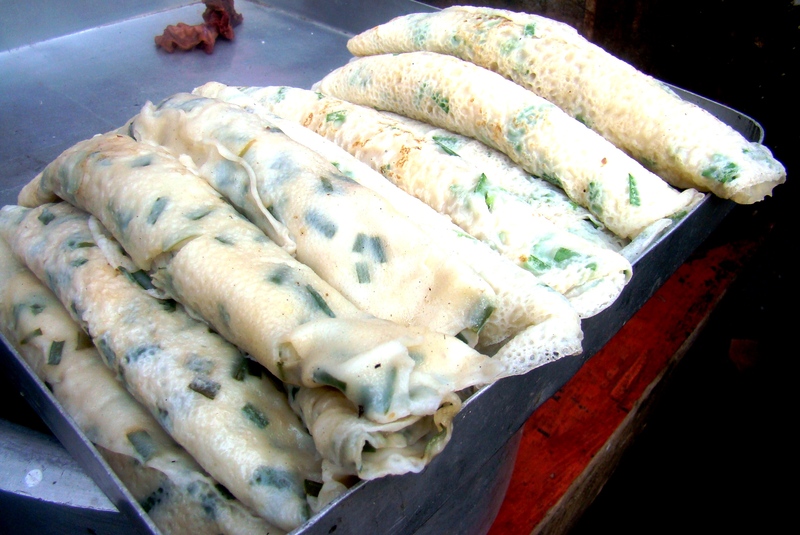 Here is the website link: http://www.wanderlustcraving.com/2014/10/28/territi-bazar-old-chinatown/. Thank you.